Before his current position as Director General at the Finnish National Agency for Education Olli-Pekka Heinonen worked as a State Secretary at the Ministry of Finance of Finland. He was also responsible as a State Secretary of the portfolios of the Ministry of Education and Culture, Ministry of Internal Affairs, and Ministry of Foreign Trade and Development. Before that, he acted as a State Secretary at the Prime Minister’s Office and was responsible for organizing and leading this Office. 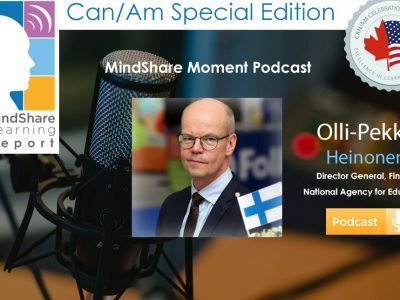 Before joining the Prime Minister’s Office in March 2012, Mr. Heinonen worked for 10 years as a Director at the Finnish Broadcasting Company. Mr. Heinonen has been Minister of Transport and Communications (1999-2002) Minister of Education (1994-1999) and a Member of the Parliament of Finland (1995-2002). Mr. Heinonen has had a number of positions of trust serving the wide scale of society and holds a Master’s degree in Law.